Totally Awesome $750 Amazon Gift Card Giveaway! 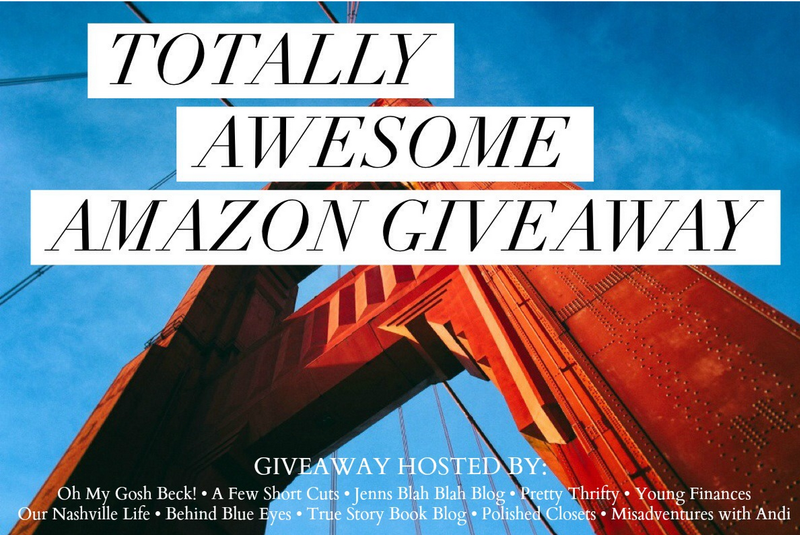 My blogger friends and I have come together to bring you another Totally Awesome Amazon Giveaway! This month we’re giving away a $750 Amazon gift card to one of our lucky readers! Want a chance to be the lucky winner? Here’s what you need to do – bookmark this page and come back every day to enter and earn bonus entries by sharing the giveaway with your friends on social media. Good luck! Rules: Use the Rafflecopter form to enter daily. All entries are optional. Giveaway ends 12/3 and is open worldwide. Previous Post: « Easy Finger Knit Scarf! DIY Infinity Scarf! Seriously? $750 would be life changing for us. I forgot to say what’s on my Amazon wish list… board games for our family and books, lots and lots of books! I would also definitely get this camera for a baby monitor! This is intriguing…I’d like to try the Nosefrida! I would like to try this vacuum sealing system – probably with a wide mouth jar attachment too! This nursery organizer looks so handy!!! This hand-cranked vegetable spiralizer would be so cool! I would like to buy a Kindle HDX for my granddaughter for Christmas. There is always a new book I am finding on Amazon that I want. Ipad for my son for Christmas. A laptop for my daughter. My wish is two-fold. I would like my brother-in-law and daughter-in-law to be cancer free.